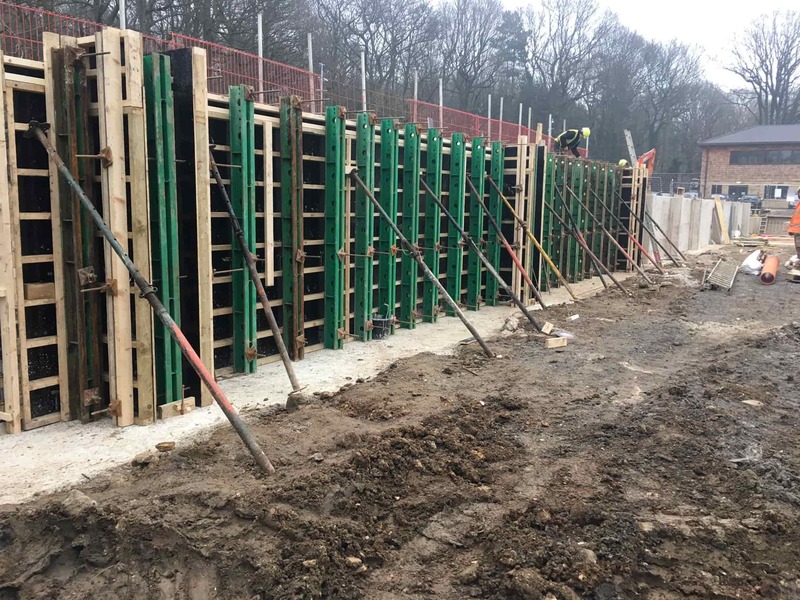 We have carried out retaining wall construction projects for both small ventures and massive ventures in every major city throughout the UK, like Leeds. Proper design and health and safety are paramount to constructing retaining walls. There are many different options for constructing a retaining wall, whether it be in-situ concrete, pre-cast concrete or blockwork. Each project is individual in its requirements which will dictate the type of wall required. At KDS Construction we have knowledgeable and experienced managers who can advise and recommend then we will take the project at any stage you require. Whether it’s a full design and build or turn-key project to simply following instruction and constructing as advised. Please see our projects section to view our most recent retaining walls. Retaining walls essentially hold up sloping land. Whenever you are walking alongside soil that starts at a higher level to you. You’ll be walking alongside a wall at head height with ground that starts at the top of the wall. The wall in question is a retaining wall. The two main reasons for retaining walls are functionality and also aesthetics. Retaining walls are a great solution to banked levels of ground and, in turn, make for great road work solutions throughout the UK. Our all encompassing wall retaining service takes all factors into consideration when constructing a safe wall. We can create walls for extremely steep slopes. Creating safe walls and just retaining walls in general is all about using the correct materials and installation processes. Although most of our projects are weighted more towards functionality due to their size, we can also make retaining walls look aesthetically pleasing if required. Essentially, no matter the brief, we will be able to offer a versatile solution for any walls in terms of safety, sturdiness and appearance if necessary. We have not come across a project yet that we cannot fully take care of. Our coverage is throughout the whole of the UK, with projects largely residing in the major areas of the country like Leeds, Sheffield, Manchester and so on. Just speak to the team for any retaining wall needs.